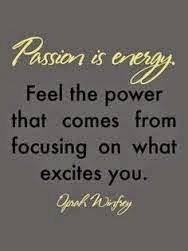 Brave and Happy: Passion is Energy! I just took a quick walk through The University of Texas campus. The 2nd semester has recently begun and there were tables and students everywhere! They were holding posters, giving away candy, playing music, and handing out pamphlets. They were trying to recruit, advertise, raise funds, or promote for their cause. It was an impressive sight! I started thinking about all the reasons they were participating. They weren't getting paid for it. They seemed to be enjoying themselves. They might simply be involved to make friends. But most of the groups were service-oriented. To me, this means they got involved because they were passionate about the cause. I know that our local high schools have some advocacy efforts led by their students. This made me wonder, how can we create an environment for our youngest students to become involved with a service effort? I'm not simply talking about the projects that are led by the school. Don't get me wrong! School-led efforts are excellent and worthy vehicles for teaching kids how the service to others is a win-win endeavor. I'm just curious if we can build systems in elementary schools where student-led, passion-driven efforts will flourish?